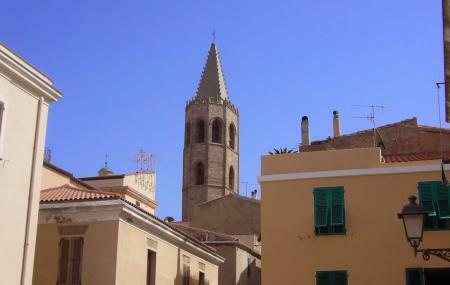 Also known as Alghero cathedral, it is considered as a Roman Catholic Church and used to be the seat of the bishop of Alghero during 1503 to 1986. Though the cathedral was already considered as a home for the bishop but its construction began from 1530. Later, it was opened in 1593 and finally in 1730, its construction came to an end. The church initially used to have Catalan-Gothic architectural style. You can make out from the octagonal base of the bell tower. However, Renaissance style was implemented in the construction on the nave and the two aisles. With this, Neo-Classical narthex was added in the façade to give an impressive change in its appearance. Things To Do: Climb up the bell tower that is just beside the cathedral to get the view of the city. Ask the locals about the entrance fee to climb up the bell tower. Ask the locals of the mass timings and the schedule to visit the bell tower. By city buses and get off at Alghero Via Sassari Lato Civico 23 Mercato Civivo. How popular is Cattedrale Di Santa Maria? People normally club together Palazzo D'albis and Chiesa Di San Francesco while planning their visit to Cattedrale Di Santa Maria.